Although the electrification rate in Mozambique is approximately 12%, which is well below the average for Sub-Saharan Africa, the government of Mozambique is targeting 20% electrification by 2020. The Mozambique power system is administered by three major electric utilities namely: Electricidade de Mozambique (EdM), Hidroelectrica de Chora Bassa (HCB) and Motraco (Mozambique Transmission Company) – all of whom are responsible for the production, transmission, distribution and commercialisation of electricity for close to 1.3 million customers. 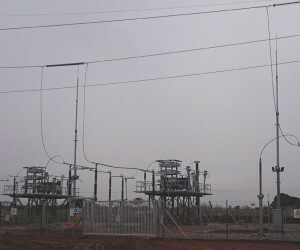 EOH Power Systems has provided a wide range of Reactive Power Compensation (RPC) solutions on a full turnkey basis; including the system study, detailed engineering, manufacturing, factory testing, shipping and transport, civil works, installation works, site testing, commissioning, warranty, maintenance and support. Our projects have positively impacted business in Mozambique by increasing power transmission capacity, enabling economic development through additional power supply increasing industrial production output by improving power quality and improving the overall quality of life for citizens. The Central-Northern transmission network of Electricidade de Mozambique (EdM) was operating close to its stability limits due to load growth and the expansion of several mines in the supply area. This increase in load placed severe strain on the supply network beyond acceptable limits (specifically with respect to voltage control). Additional short-term reinforcement of the system was therefore required. EdM had a need for better quality of power to be supplied to its clients, less dips in electricity and less likelihood of a shutdown because of demand. 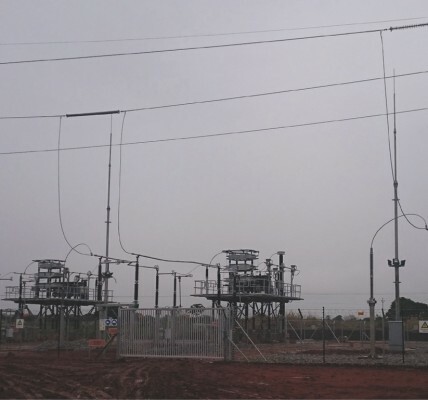 With this purpose in mind, EdM and the Government of Mozambique made funds available for the installation of fixed series capacitor banks at 3 substations, namely: Chimuara Substation (Caia), Mocuba Substation and Alto Moloque Substation. a. FSC3 Alto Moloque is energized and running. b. FSC2 Mocuba was energised on Sunday 12 June 2016.
c. FSC1 Chimuara is complete and waiting to be energized. By adopting an innovative skills development and localisation approach, EOH incorporated local content in the project implementation by utilising local materials, labour and operations wherever possible. This process of localisation ranged from design stage, FATS, commissioning and classroom work – to develop their competence in maintaining and managing the new technologies on their networks. The combination of this approach and the successful commissioning of the first site according to the stipulated time frame, made the client very happy. Strict adherence to health and safety standards was vital to the success of the project. The strictest quality, health, safety and environmental standards were adhered to during the execution stage, ensuring the health and safety of our staff, sub-contractors, client personnel, visitors and the public in the area, under our control. Our strategic partnerships with reputable OEM’s, successfully developed and nurtured, meant that our engineers spent a significant amount of time working alongside our selected OEMs so that they were familiar with the technology and could resolve issues as they arose. “The project developed our already detailed understanding of Mozambique conditions, thereby strengthening our capability to execute projects in this region,” says Project Engineer, Denis Botha. Our thorough knowledge of the local power systems in Mozambique meant that we were able to customise our solutions for the local conditions and thus provide the interface for the local application engineering of leading international technology. Mozambique has a booming energy sector and a growing customer base, which is generating a demand in heavy industry and construction. So, the installation of these capacitor banks will certainly free up network capacity, as well as improve productivity levels at industry level. Although the social, environmental and technical challenges faced during the project proved to be interesting turning points in the project, they did not jeopardise the timeframes set out for the project. EOH Power Systems operates according to a dynamic business model—the difference between ourselves and our competitors—who provide services and support out of Europe (such as Germany and Sweden)—is that our support is based in South Africa. This makes the projects more easily accessible and more economically priced. The same people who work on the designs, FATS, site testing and commissioning are the same people who provide the after-sales service and support—improving the responsiveness and knowledge of the equipment for quick resolution of any problems.